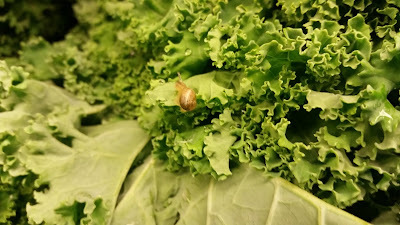 Curly Kale munching snail. He's getting in his protein. Yes, I've decided he is a he, and his name is Champ.